When it comes to giving a gift, labelling homemade products or even showcasing a business or brand, custom hanging tags are your best friend. You may think in this day and age they seem a little insignificant but they actually serve as a new opportunity for a customer to remember you, your brand or product. A swing tag can save the day when a sticky label just won’t do any more; creating your own swing tags is the ideal solution when it comes to labelling. Of course, there are also double sided tags which allow the user the opportunity to communicate even more information. What's more, when it comes down to the overall design of your swing tag, the options are virtually infinite. You can create any shape, colour and style in order for the potential customer to really grasp what you’re trying to portray and communicate. Here at Handy Tags, we know a thing or two when it comes to swing tags. In this article, we will cover all things tags, starting from why they are important in our day to day lives, what you can use them for and also how you can create your very own with our very detailed and extensive collection of materials, colours and styles. Why Are Swing Tags Important To Us? Firstly, let's cover just why these little hanging pieces of card are still very relevant in today's world. Swing tags have always been a feature when it comes to buying products, especially clothes which started off as a practical way of showing the price and size of a garment. Swing tags can be used to communicate the attributes and values of a brand and is a key marketing tool in order to reinforce what the company is all about. So with that, it’s going to be a huge missed marketing opportunity for companies that don’t use or utilise them correctly and productively - a constant lack of swing tags is pretty much a marketing blunder and a ton of free advertising down the drain as they are a much cheaper way of marketing your company than other types of promotion too. Swing tags come in all shapes, sizes, and materials, with a variety of different types and the look they have is pretty much entirely down on what values and identity you want to be communicated. 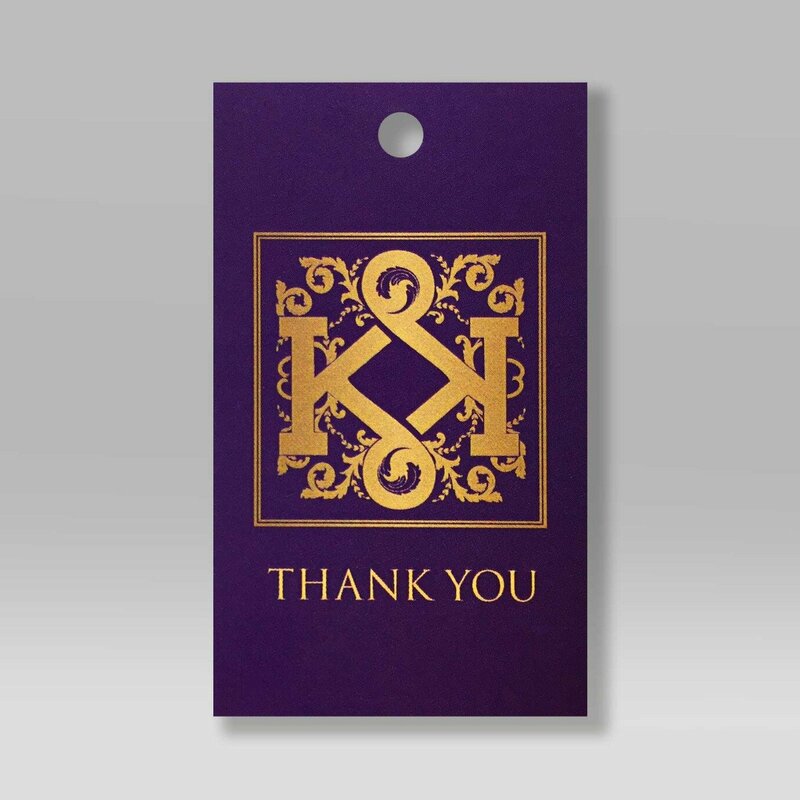 If you wish to communicate that your brand or product you’re trying to sell is luxurious, opting for a high-quality material swing tag with an elegant interface is going to be your best bet. Tags, especially for retail purposes, can help influence the buying decision of the consumer as they will communicate what the brand is all about. If there’s a poorly designed swing tag it can give a negative impression of that product. Also, anything poorly designed will put off consumers from purchasing the item. Your brand is represented by the product packaging and labels are no exception to this. Swing tags are the perfect opportunity for you to talk to your customers and convince them your product is worth buying. Through communicating directly to your consumers you will be able to talk about what’s so great about your brand and so what’s unique about the product or garment they are considering buying. You should use labels and tags as a full communication channel with customers, mentioning contact details, and in this day and age also your social media details too. 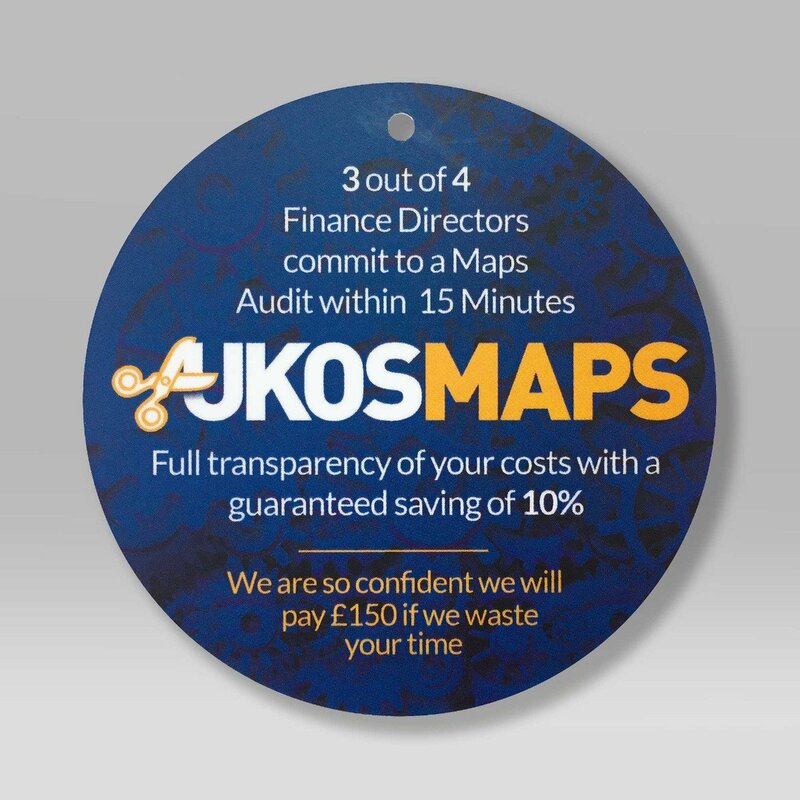 This ensures that you are using the swing tags to their full potential and maximising on promotion. 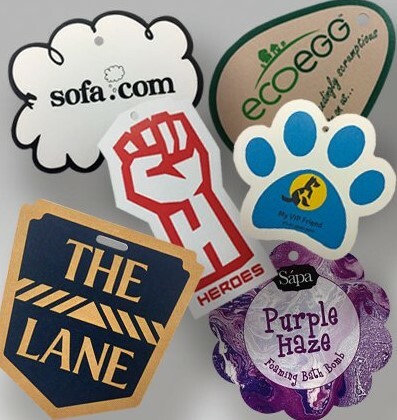 Looking at custom swing tags that clearly help communicate your brand's values and positively influence the buying decision of your customers then Handy Tags are the ones to call on. Going back to what we have already spoken about, if you are in the retail industry, swing tags are the perfect thing to attach to your products in order to promote your overall brand, whether that be your website, your other outlets, contact details or social media platforms. Attaching swing tags also to products to give any potential buyers a little more information such as the price, size, ingredients or use by date. This is probably the most common way you will see swing tags being used but is a fool proof way to labelling items. Using swing tags to help cross-sell your goods and products by creating ‘collections’ of all your products to help make any other matching items become instantly identifiable to the consumers. 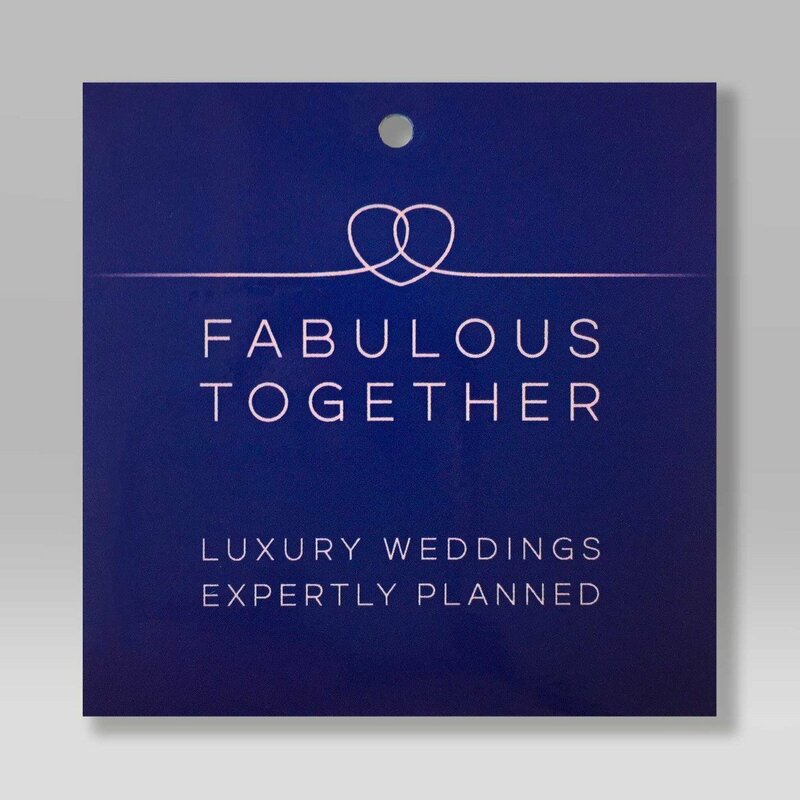 Using swing tags that are attached to your branded carrier bags, this idea is perfect for any company that is attending events or road shows that want to promote you or your work. Using swing tags on plain bags help reduce cost but still gives the same effect. Use them in order to display a series of different colours or swatches, using numerous tags tied together can then fan out like a pack of cards. Spec sheets can get a bit abstract and tricky to understand when they aren't right next to the product they’re actually describing. Tags are able to be directly placed on most tangible products, which makes it easy for customers to understand them a little better. Swing tags are also a great place to highlight an items specific selling points and give a more upscale look you won’t be able to achieve with just using a boring piece of paper. Swing tags work great using as a complementary label or as the only packaging for bottled products. There may be some reason behind you not wanting to include any labels directly on your bottles which is why swing tags are an excellent packaging option with a bit of an artisanal flair. 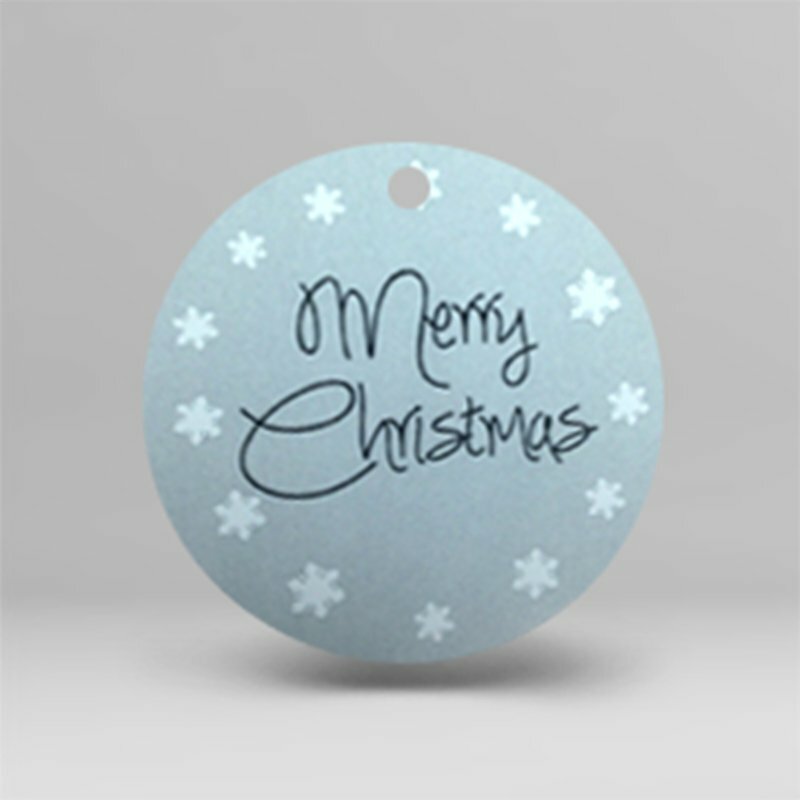 A decorative tag can be used to help dress up any item for a seasonal holiday. This is a great idea for any seasonal holiday sales as they will add a bit of the season's spirit and more of a handcrafted touch rather than a drab price ticket. These could work for any seasonal holidays such as Christmas, Easter, Valentine’s Day and Halloween. Coupons or vouchers are an effective way to help encourage repeat business. Everyone is out looking to save money where they can so having tags as coupons ensure that customers are able to see them and even have a bit more of an incentive to purchase. You could design it in a way where the whole tag is just essentially a voucher or have the tear-off section which the customer and keep and use to get money off their next purchase. Now we have covered just why swing tags are still important to have in your personal and professional life, we can now move on to the more fun things such as creating your own tag. 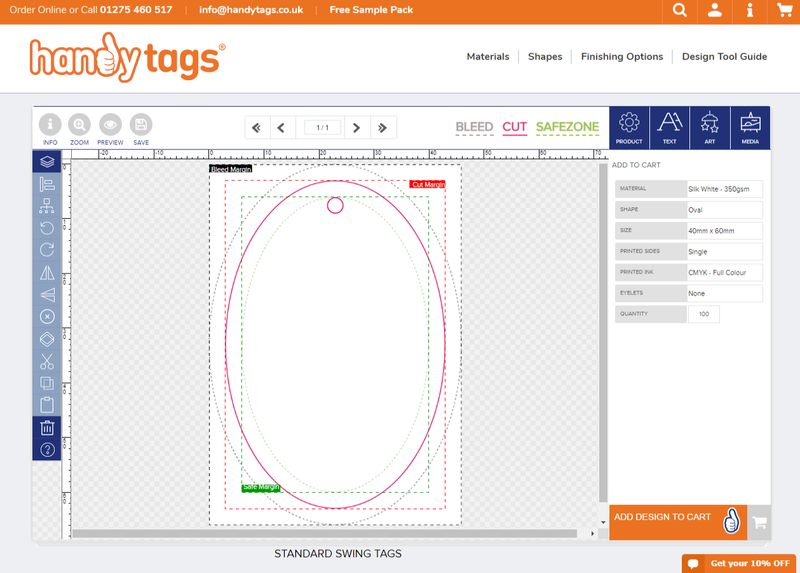 Here at Handy Tags, we pride ourselves in just how much choice we give to our customers when it comes to designing and picking out their own swing tags. We will take you through the process of designing your dream tag step by step. So, whether you need them for your retail business or want to use them as gift cards, the possibilities are endless but there is no better place to design and make your tags but at handy tags. The very first thing you will need to do to start creating your tag and what you’ll be asked first on our website and that is to pick what material you want for your tags. From standard cardboard all the way through to waterproof, here is the full list of all the materials we can offer. Once you’ve got the material and colour option you are after you can then move onto the shape of your tag you are trying to create. Whether you’re after something traditional looking or want something a bit more unique we’ve got you covered. Below is the full list of shapes we can offer you. By far one of the most popular choices of shapes when it comes to swinging tags. We offer a range of 6 different circle sizes so you’re sure to find a size which suits your needs. 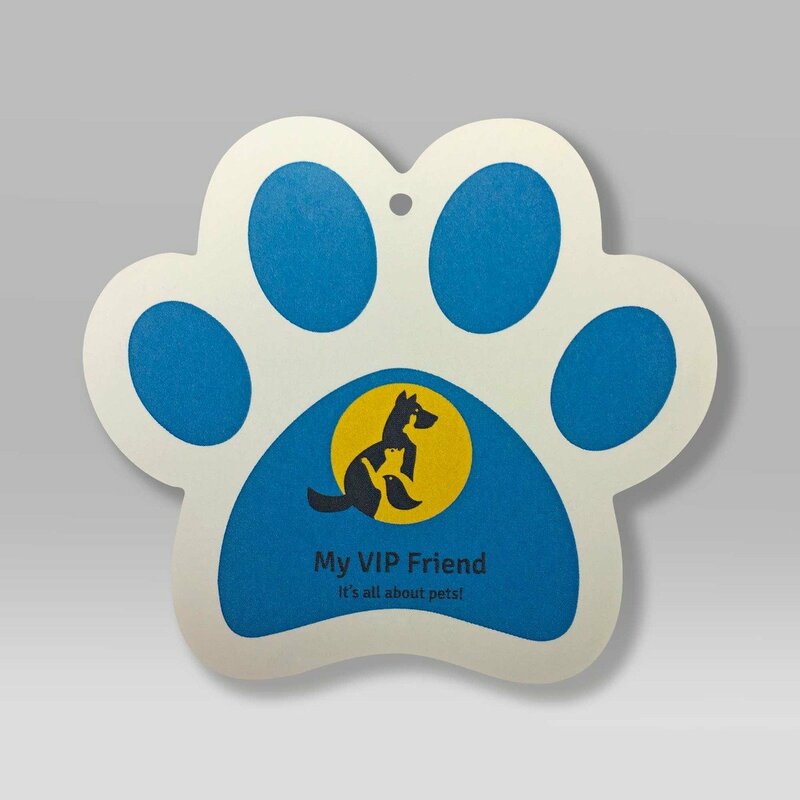 Our oval templates have 4 different sizes in order to fit the purpose of the tag. 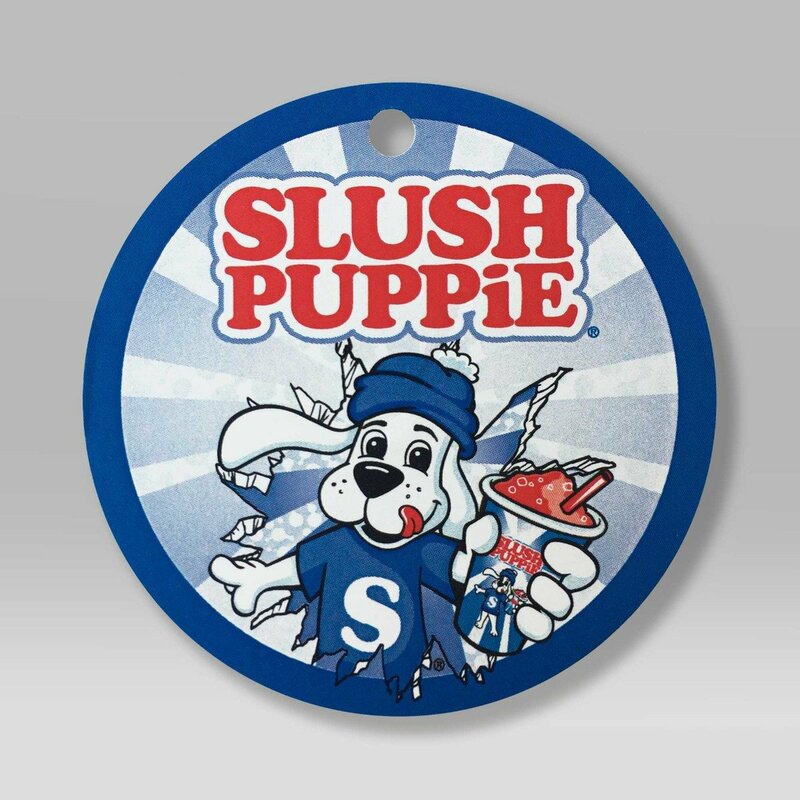 Using oval shaped tags is a great choice for attaching to food and beverage items. Rectangle tags are another of the most popular due to their universal appeal and are very practical. Here at Handy Tags, rectangle shaped tags come in 5 different sizes and are most commonly used for clothing and price tags. Square tags are somewhat a little more niche but this makes them more appealing as it’s just that little bit different to what you’re used to seeing. You can take your pick from 5 different square sizes. If the more standard shapes listed above don’t really take your fancy then don’t worry as we are able to make a label out of pretty much any shape. If you want a flower, heart, car, dinosaur or anything else we’ve got your back. Now you’ve picked what shape you want you will then be given a list of further options such as the desired size of the tag, if you want the tag to be printed on single or double sides, whether you want eyelets in place and what colour, where on the tag you want the eyelet to be placed and finally if you want string to be provided and if so, your chosen colour. When all of these aspects of the tag are chosen you can now move on to the best part... the actual design of the tag. Whether you need to follow a strict guideline or just let your imagination run wild, the built-in design tool on our site will allow you to create the tag of your dreams. Here is just a brief step by step guide on how to convert that image you have in your head onto your own tag. When you are ready to move on to designing your tag you will be directed to our own design tool which is where the creating will take place. Unlike other design tools out there, you are able to do so much more with this one and we are going to show you how. When you first boot it up, the screen will show you your previously chosen tag shape placed in the middle with a white background but can then change it to whatever colour you desire. On the right, you will find your layers tab which will be empty to start with but as you go through the designing journey the more aspects of the tag are implemented such as text and images will appear in their own layer. This makes things easier to remove and shuffle things around at a later date if you feel it's necessary. You will also notice a lot of lines and borders on your template but there is a good reason for this. First, you will see a green dotted line with is your safe margin. This means that anything you place within that margin will be safe when it comes to cutting out the tag. Just outside the green line, there will be a solid pink line which is known as the cut margin. This is where the tag will be cut from so anything that designed out of that line will not appear in the final print. Finally, there is a black dotted line known as the bleed margin. Bleed margins are important as if you have a background colour you need to make sure that the colour runs through the bleed margin as you don’t want any white edges if your tag is supposed to be a solid colour. Once you’re ready to start designing, head over to the product button which is in the upper right-hand corner of the design tool. You can choose any colour you like and even enter the hex code for a specific colour. Of course, you don’t need to choose a background colour as there is also an option to use an image as the background too, if that’s what you would prefer. If you decide you want an image then this is where the bleed and cut margins are really important to keep an eye on so you ultimately end up with the tag you envisioned and nothing is accidentally cut out in the printing stage. Once you have your background all in place and you’re happy with it (remember you can always alter things at any time) you can then move onto the text. If you don’t want text, or already have text on your background image then feel free to just skip this section. However, if adding text is what you’re after then just next to the product tab you will find the text tab. It’s here you can then enter your text, choose the size, colour, font, where you want it placed along with rotation and border options too. Any text you add will also appear as a new layer. If you have some text in place then open another text box to add some more this again will be a completely different layer too. When your text is in place and you're happy with it you then have the option to include some art into the design too. At Handy Tags we have uploaded hundreds of artwork pieces you can use for your labels, anything from holidays, flags and pets the list goes on so you should be able to find exactly the right artwork for your label. After you have chosen your artwork you can even customise it further by changing the colours to make them more in line with the rest of your scheme. If you don’t want to use our artwork you can also use our drawing tool and freehand your own design too or if you wish to upload your own then step 5 is the one for you. If adding artwork is not your thing then you have the option to upload your own images to include instead, To make things even easier we have added in shortcuts in for Flickr, Picasa, and Instagram so you can reach your beloved images quickly or you can upload the more traditional way too. Finally when you have played around with the background, text, images whatever you’ve added and are finally happy with the finished design of your label your good to press the add to cart button and you’ve now successfully built and designed your own handy label. Nice Work! These will then be printed, cut and sent to your front door. 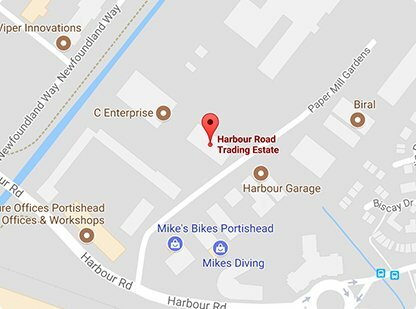 If you live on any mainland UK destination then shipping will be free of charge but we do also deliver to Northern Ireland, Southern Ireland, and Europe. We also send to non-European destinations but will need to be quoted for beforehand so be sure to get in touch with our team first before placing your order. Once everything on the design is approved by the Handy Tags team, the print, finish, and dispatch should happen to your order in 48 hours. A trackable delivery service is also used to make sure both you the customer and we the business can keep an eye out on where the delivery is and when it arrives safely at its destination.